A finely bound early edition of this Glaswegian poets most well known work, two parts bound in one, illustrated with engravings by C. Heath from paintings by R. Westall. In addition to his poetry and lecturing, Campbell was actively involved in the foundation of University College London (originally known as London University). A lovely copy of one of the earliest books for the dry-fly purist, illustrated with 12 twelve hand-coloured copper-engraved plates of 194 flies, arranged under the months from May to September. 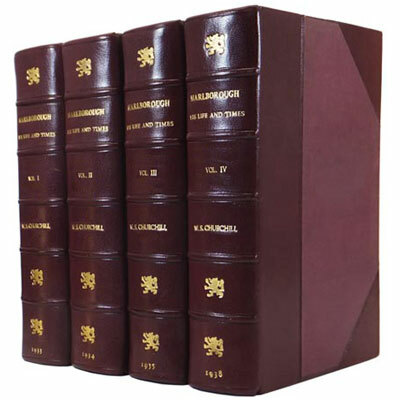 In contemporary binding and housed in custom morocco-backed slipcase. This copy from the library of James Benkard, President (1879-83) of the exclusive ‘South Side Club’, Long Island, an angler’s club on Long Island, formed of ’ one hundred gentlemen, millionaires, merchants and professional men of note’. (NY Times, April 2, 1882). 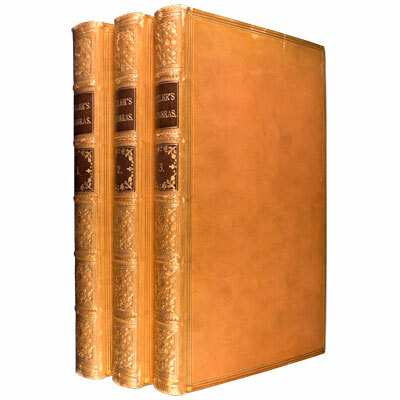 Four finely bound volumes of what many consider to be the first true novel in Western literature, illustrated with 24 hand-colored engraved plates by John Heaviside Clark. Inspired by his ever expanding library of books on chivalry, our hero Don Quixote, with his anointed squire Sancho Panza, sets off on his adventures, and the windmill-chasing antics of Don Quixote have continued to delight for over four centuries.